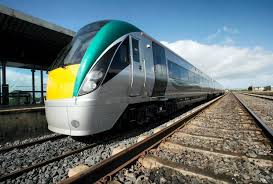 South Kildare TD, Fiona O’Loughlin, has said the allocation of funding to provide new rail carriages will do little to alleviate the overcrowding challenges faced by passengers in the short and medium term. Deputy O’Loughlin was commenting following reports that Irish Rail is expected to get approval from the National Transport Authority (NTA) for the purchase of €100 million worth of new rail carriages. “I welcome this long overdue investment in Irish rail service, which is now serving record number of passengers each year and continuingly increasing in Kildare. It is vital to invest in Ireland’s public transport, if we are to reduce the congestion and environmental pollution that is plaguing our country. While the funding for new carriages is to be welcomed, it is disappointing that the first contract, for 41 new carriages, is not due to be awarded until the end of the year. “This will do little to reduce overcrowding on trains in the short to medium term as the lead-in time for the delivery of all carriages is extremely long. Irish Rail has also dropped plans to refurbish older carriages in the fleet, ruling it out on cost grounds.